Our culinary and service teams are as passionate about their work as they are experienced and professionally trained, taking great pride in delivering an exceptional all round experience. 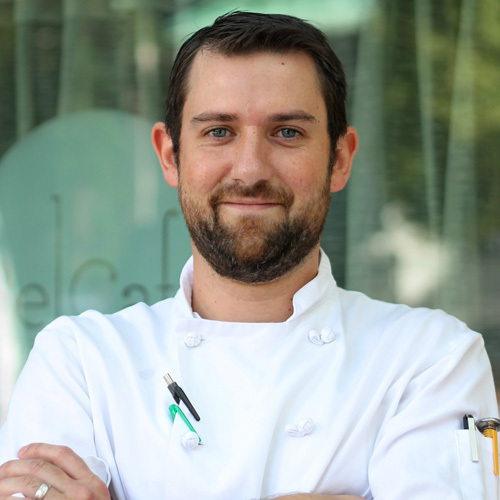 Vancouverite and globetrotter Kevin Emry brings a worldly knowledge to the kitchen of Bel Café in his new role as Head Chef. Having experienced almost every facet of the restaurant industry Kevin describes his culinary style as a unique combination of the best of the West Coast with grounding in the fundamentals of French cuisine. Chef Kevin was previously Head Chef at Le Bistro de Paris in the West End and after graduating from the Pacific Culinary Institute of Arts also worked at Vancouver’s Craft Beer Market and The Boathouse. He has also had the chance to hone his culinary skills on various stints abroad, working in Australia, and Southeast Asia. When he isn’t cooking up a storm in the Bel Café kitchen, you’ll find this loyal West Coaster carving up some powder on the local mountains or hiking remote trails with his loyal dog Ruby. Originally from Edmonton, Kozinko has spent much of his career in Vancouver. Most recently, he served as the Pastry Chef for the Four Seasons Hotel and its restaurant, Yew prior to that he spent nearly a decade at the Metropolitan Hotel, where he worked with Executive Pastry Chef and acclaimed Chocolatier Thomas Haas. Previously, Kozinko honed his skills at Vancouver’s Il Giardino and Borgo Antico. Kozinko graduated from North Island College’s culinary arts program and completed an apprenticeship at Vancouver Community College. 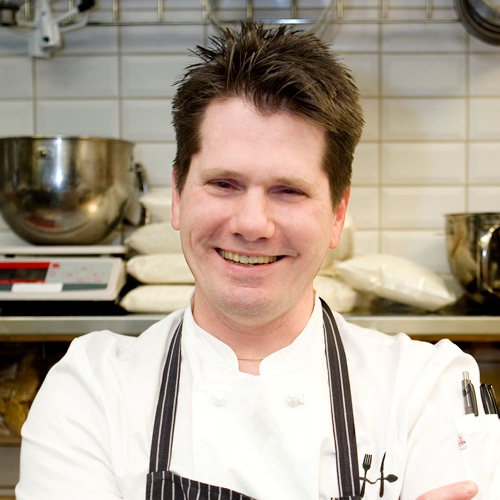 Kozinko’s expertise earned Diva a Vancouver magazine restaurant award for Best Last Course from 2005 to 2007. In 2000, he earned first place in the Quady Electra Dessert Competition at the Vancouver Playhouse International Wine Festival; and in 2001, as a member of Thomas Haas’ team, Kozinko took top honours in four categories at the National Pastry Team Championships.